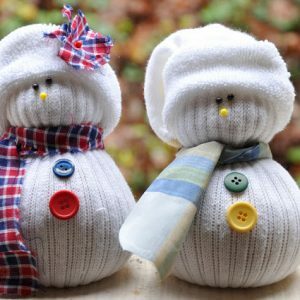 How fun is this DIY Snowglobe Ornament? That’s a little Pterodactyl sitting on top of a miniature green tree! This was made in our last craft class by one of the attendees. 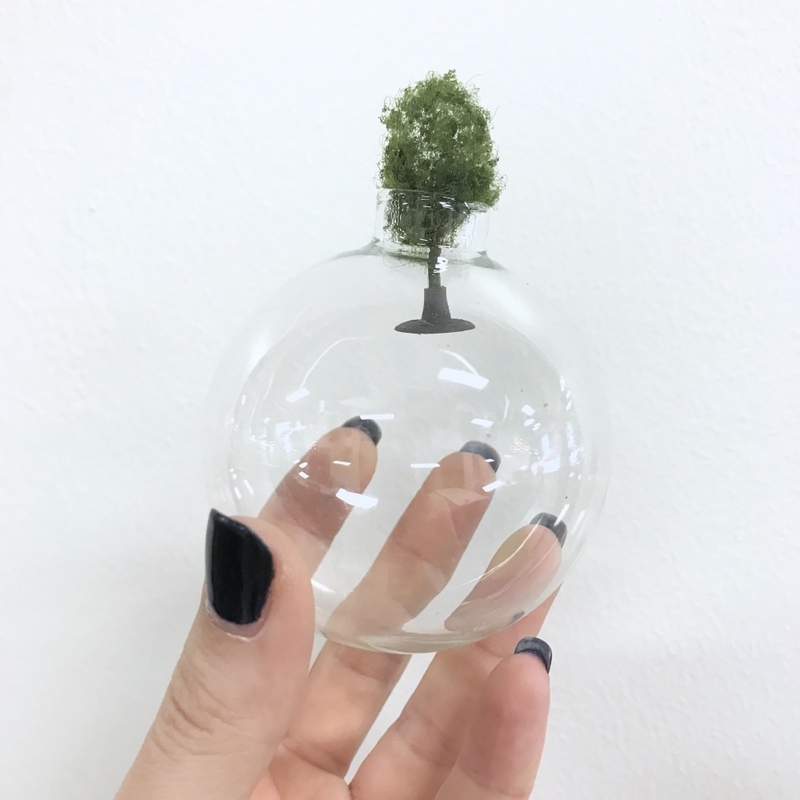 We were so blown away by it’s cuteness that we had to show others how to make one too. All you need are a few simple supplies. We gathered ours at Michael’s Craft Supply Store. First, open up the ornament. Set your Silver closure aside. You will close the ornament back up at the end. 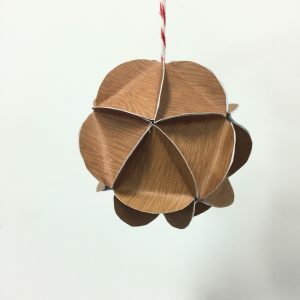 Add a dab of glue to the bottom of the ornament. You can’t see it in this photo, but there’s a tiny bit of glue to to hold the base of the tree to the ornament. You want to be sparing with the glue so that your tree will hold in place but your glitter will free float and shake around. 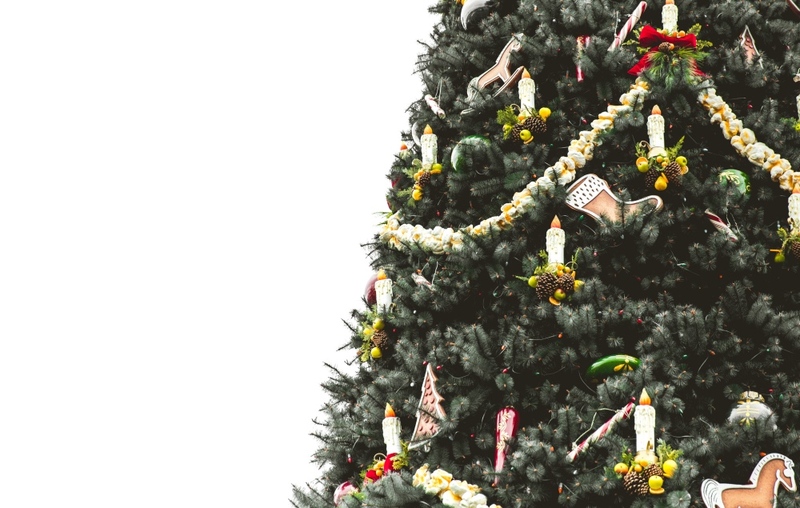 Once your tree is in place, give it a few minutes to set before you add anything else. 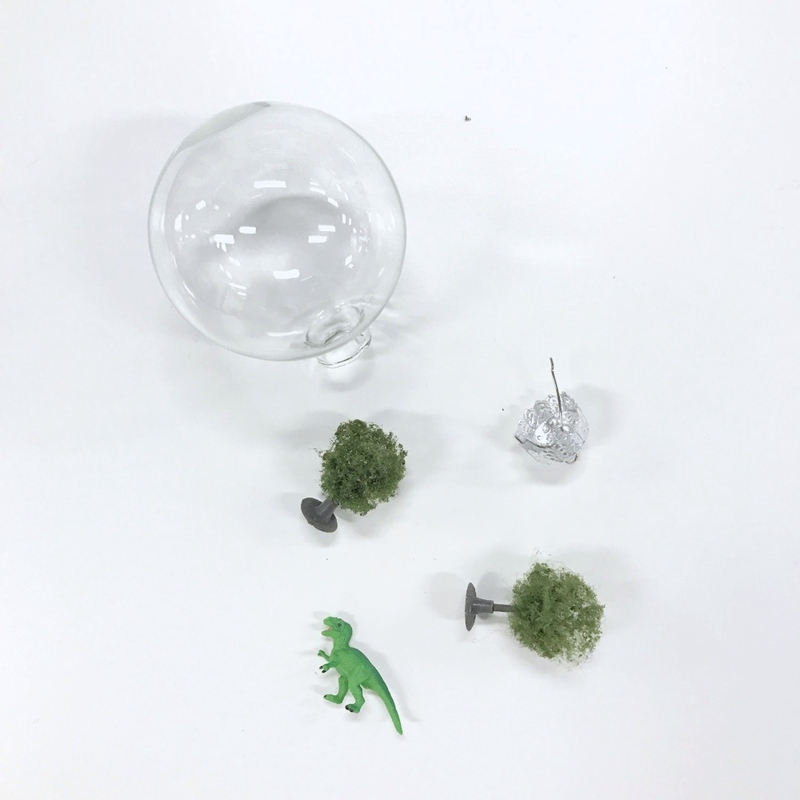 Add glue to your dinosaur, and using tweezers, set your dinosaur in the top of the tree. Hold the dinosaur in place for at least a few minutes to let the glue set. 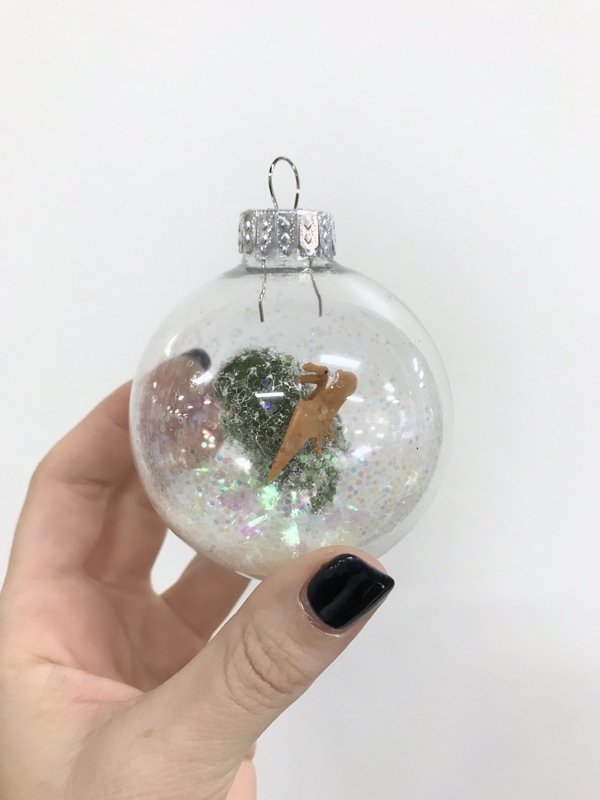 Once you have your tree and dino in place, mix together a few different types of glitter. Using a chunky and a fine glitter will create a really cool winterscape. You won’t need much, perhaps a tablespoon of chunky and just a sprinkle of the finer glitter. 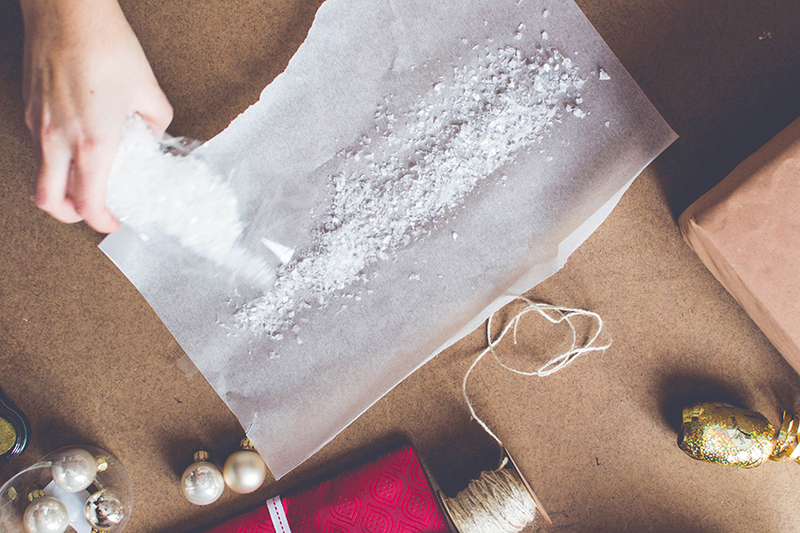 You can twist your paper into a funnel to help get the glitter in the ornament. The glitter will stick to the sides a bit, but it’s so fun to shake around just like a little snowglobe! 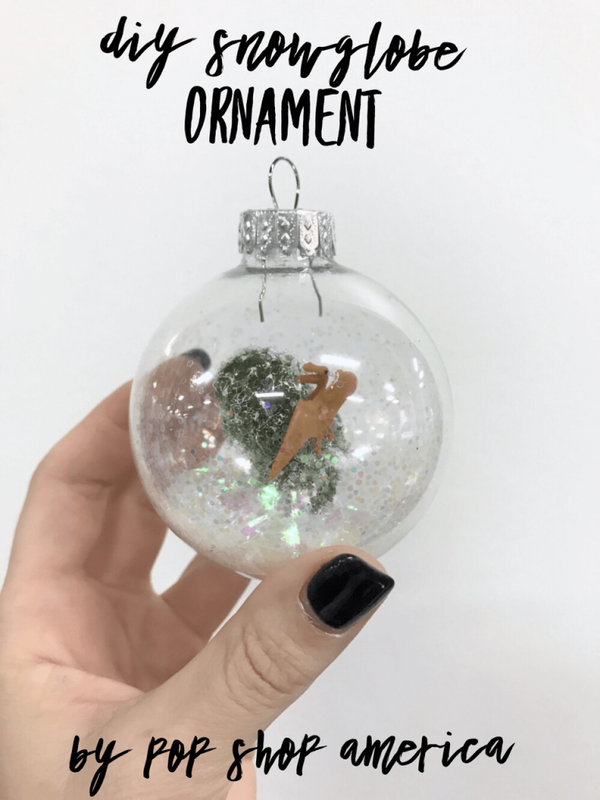 Now you know what to do with your new Make this DIY Snowglobe Ornament, add it to your holiday tree! Or you can give it as a gift. Either way is so fun! 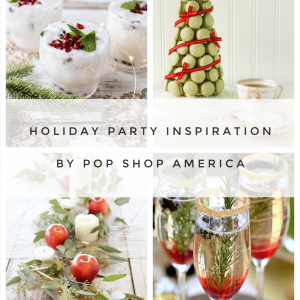 And happy holidays from us at Pop Shop America.